The In The 5th Degree Vaporizer by Prohibited is a very solid tool for both dry herb and concentrates. 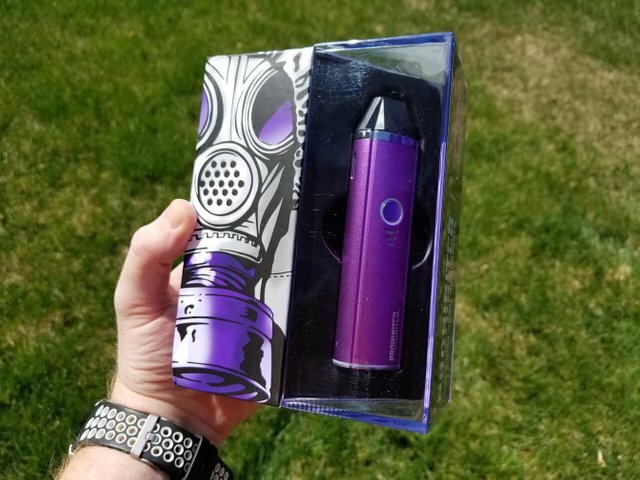 I purchased the vape in the spring of this year and I wrote a variation of this post on my Steemit blog on 4/20. After careful thought and consideration, I purchased the In The 5th Degree vaporizer by Prohibited. I am happy to say it is an awesome product and I highly recommend it. At an increasing rate cannabis users are seeking combustion-free alternatives to traditional smoking methods. Vaporizers use low heat to vaporize oils from loose plant matter. This means users don’t inhale smoke or burning plant matter. The good stuff like THC and CBDs are vaporized without reaching temperatures high enough to actually combust or burn the material. The multi-function device retails for $199 and can seamlessly vaporize both dry herb and concentrates. The device uses magnetic drop-in cartridges to switch between the two. After some use, you might consider picking up new cartridges, which can be purchased individually for $39.99 on prohibited.com. This could also come in handy for traveling. Fresh cartridges wouldn’t produce any smell. Additionally Prohibited offers several nifty accessories for the 5th Degree mod. So far they have release a dabber attachment for the mod and an e-rig kit with interchangeable e-nails & bubbler. Other pertinent information: Prohibited is a new sub-brand of the V2 E-cig brand. I read some poor reviews about older V2 products, but this Prohibited device seems solid and well built. The 5th Degree Vape performs quite well with dry herb. 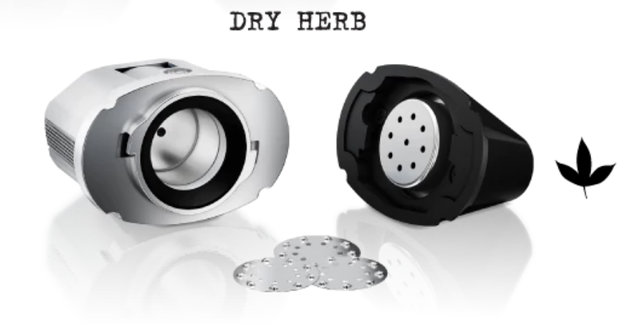 The dry herb cartridge features a chamber boasting ultrafast heat up times. In roughly 25-30 seconds the vape is ready to rock and roll. You don’t press the button simply rip away while the perimeter light on the bottom glows green. The cartridge chamber will fit about a half gram of ground buds. The vape is nice, but I knocked a few points for air flow and vapor production. Don’t get me wrong. It’s not bad, I’ve just seen better on more expensive devices. I was really impressed with the concentrates cartridge, which you can use for your favorite shatter, wax, and oil. The 5th Degree vaporizer utilizes a dual-quartz and titanium heater to vape concentrates. You can load up the device with up a lot of oil, but smaller dabs do produce more vapor. Vapor production is on point! And the device is ready to rip dabs instantly. It might just be my new favorite cannabis tool! The vape is well built, versatile and discreet. I am impressed to say the least. Vapes that claim to do the same, can cost double or triple the price of a 5th Degree Vape. It works with both herbal and concentrates and does both well. I also really like the drop-in system for the cartridges. Prohibited definitely put some thought into the product packaging. And I dig it. 👍 The art is cool and the vape is nicely secured. The device is super easy to use, but I do suggest reading the instructions. Turn on the device with three clicks. Vape concentrates immediately with the main button and when you switch cartridges, hold the main button for 3 seconds to start the heating process for dry herb. I purchased the 5th Degree vaporizer for personal use. When it came in the mail I couldn’t get the vape to work at all. After reading the warranty I realized I had messed up real bad and voided the warranty by using a Samsung fast charge adapter. 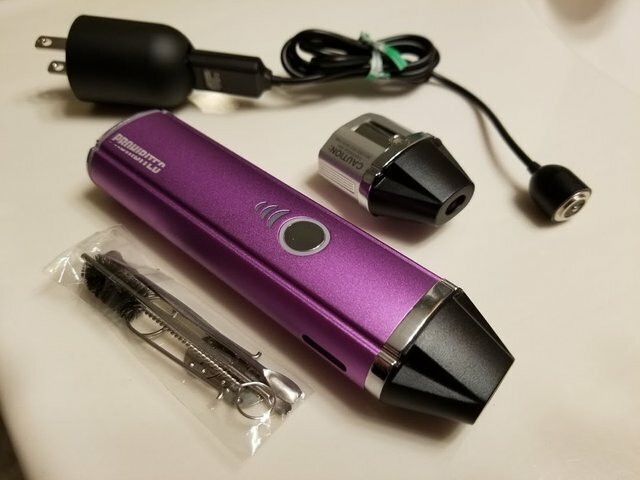 I went ahead and contacted [email protected] I told them about my intentions to write a review on Steemit for 4/20 and they happily sent me a replacement device. Great Review.. I have the GPen Elite.. Kinda similar looking tho only takes herb... I got some other smaller pens for wax tho I kinda enjoy smoking waxes n hash with tabacco in a joint.. I know I'm weird. I'm actually experimenting with a Nicotine, THC, and CBD mixture in a VG/PG based e-liquid. I should have a post on Smoke Network when the batch is done. I like it. I want it too. Pretty cool review. I have been looking for a vape that can also vape dried weed but never found one that was that on point. For now 200 is too much of a price but one day I'll probably get one. Right now I use a standard run of the mill vape with cbd oil in it. Wanted to stop smoking cigarettes but couldn't get myself to stop and didn't like those regular vaping liquids. So when I found CBD liquids in a store I got myself a vape. wow... its like a dream! i want taste that thing!! !